An incredible innovation, the internet has completely changed daily life around the planet and altered the trajectory of society. Almost all information ever known is at your fingertips. You no longer have to go to the library or visit an expert; just search any question and pages of information instantaneously flood your computer or even your phone. Doesn't matter what you seek; information is available. You can find ancient history, entertainment trivia, scientific data, or how to do anything. There are tutorials for automobile repairs to dancing to plumbing to tying a fish hook. The abundance of information is astounding, but the crazy convenience makes us complacent and careless. Hillary Clinton is still blaming everyone else for her presidential defeat including now voter suppression. 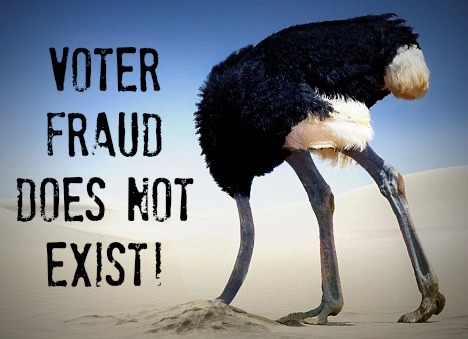 The media is happy to report that, but the media has let the problem of voter fraud go unreported. Trump was roundly castigated for his claims of voter fraud, but read this article how voter fraud is slowly being exposed. Evidence is piling up in Virginia that voter fraud was substantial and perhaps enough to change elections. Keep a watch on this issue. The media ignores it, but it’s not dead. Oh the horror of polluting the Missouri River at Standing Rock in North Dakota! After months of protesting the North Dakota Access Pipeline, winter has driven protesters back to wherever they came from. But they left their mark! And they lost, the river is being polluted! By them! The environmental wackos left behind mountains of garbage. The hypocritical truth is they don't care about the environment; this was just an anti-capitalism charade. First it was “safe spaces,” but now college students want to literally beat up those with whom they disagree?! So if leftists can’t silence dissent, they will beat up Republicans? Leftists are constantly screaming about tolerance, but now they advocate violence? All of this is nonsense is based on the dubious notion that conservative ideas threaten liberals physically. How do peacenik liberals defend this? Liberals keep scolding everyone that violence is imminent from conservatives, but note who keeps resorting to violence. Who riots? Who blocks traffic? Who vandalizes property? When President Trump ordered a 90 day pause in immigration from terror exporting nations to reassess our vetting procedures, did you see how Muslims responded at DFW Airport? Check out the video. They were orderly and only prayed, but was this a protest or proclamation of conquest? My goodness! You must listen to this disturbing video of American University students comparing Fidel Castro and Donald Trump; they think Castro was better for Cuba than Trump will be for the USA. Castro enslaved an entire nation not mention the thousands tortured or murdered, but these college students either dismiss mass murder or they are totally ignorant of history. This is the sorry state of liberal education in America; college students cannot distinguish between a cruel murderous tyrant and a president they disagree with! God help America!!! Illegal immigration has been a hot button issue for decades with most Americans wanting the problem solved, but most politicians seem unable or unwilling to tackle this mounting perennial problem. Despite relentless efforts to diffuse illegal immigration and make it more palatable by banishing terms like “illegal alien” or euphemizing them with innocuous names like “undocumented worker,” Americans still view illegal immigration as a critical concern. Losing the public relations battle over “illegal immigration,” Democrats are now trying a new tactic by assaulting and hopefully diminishing the concept of citizenship. Loving our children, we fawn over every little thing they do. From cheering first steps and words to applauding school graduations, we are proud of their achievements and development. So imagine the jolt when the first words of the newest youngest generation was a crudely constructed string of expletives! With so much angst and sometimes derision for “millennials,” society hasn’t paid much attention to the next generation. The 2018 partisan games have begun. Well, they never seem to end anymore. There’s no period of just governing. Just a momentary reset as the parties start on the next election. Desperate to regain Congress, Democrats were willing to do “anything” to win the special Congressional election in Pennsylvania District 18. Anything! Like even run a Republican. Frantic for any good electoral news, Democrats needed a win, so they could rally the troops for the midterm elections. Sanctuary city silliness has been spreading for quite some time. The term is broad and vague, so there’s no definitive description. It generally means policies that protect or welcome illegal immigrants. Los Angeles probably had the earliest official policy in 1979 when they prohibited police from asking crime suspects about their immigration status. About the last decade, the sanctuary movement has grown more rapidly as illegal immigration increased and problems worsened.